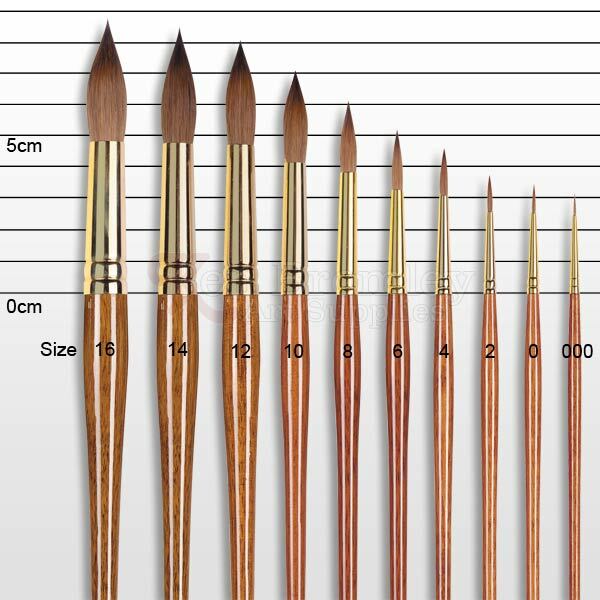 These are ideal for watercolour painters who require a much larger degree of colour holding than synthetic brushes are able to provide. Created in the time honoured way of tying and hand shaping, they have a steeple shape tip which allows a high degree of water retention whilst still maintaining a sharp point. 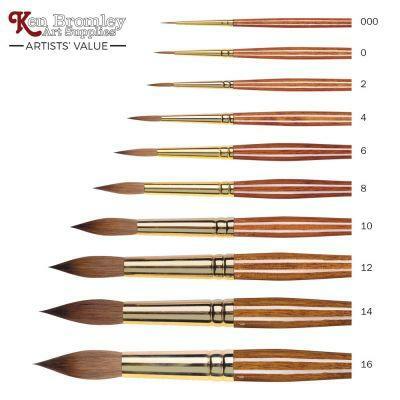 Kolinsky sable hair possesses a good degree of spring whilst the softness of the natural hair will allow big-area coverage when using heavier and more absorbent watercolour papers. 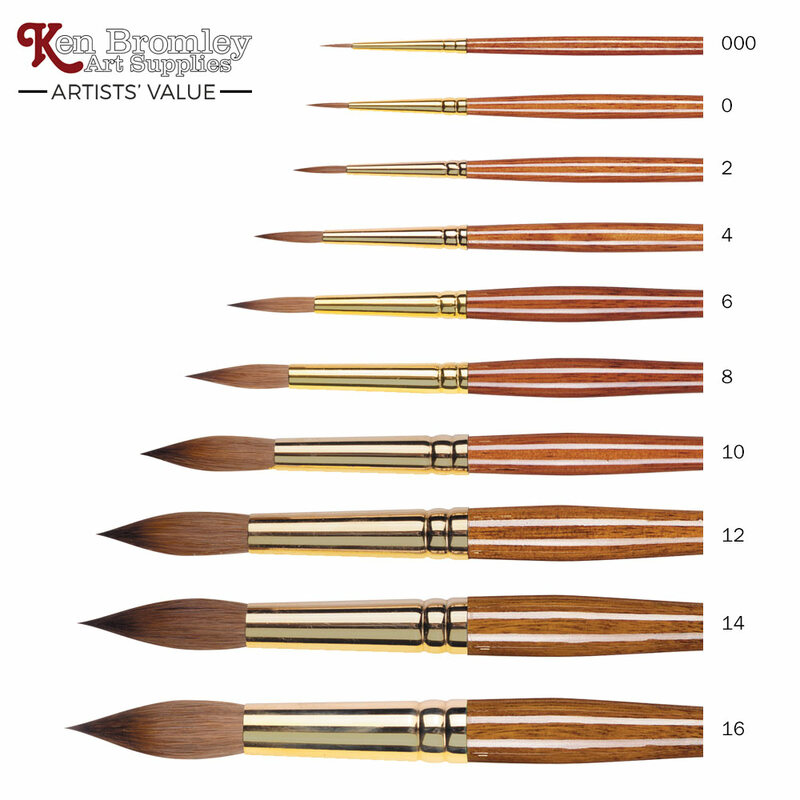 The Kolinsky sable hair is ferruled in beautiful gold plate and finished with a handsome teak effect handle and the sizes range from 000 to 16.